I was going to have this weeks theme be something that you guys voted for, BUT I want to see what everyone made/is making for 4th of July! I want to see Red Whites and Blues! Flags! Anything and Everything Patriotic!!!! Hope you have a wonderful 4th of July weekend, linked up with my 4th of July Cream Wafers! Thanks for the invitation--I linked up my cake! 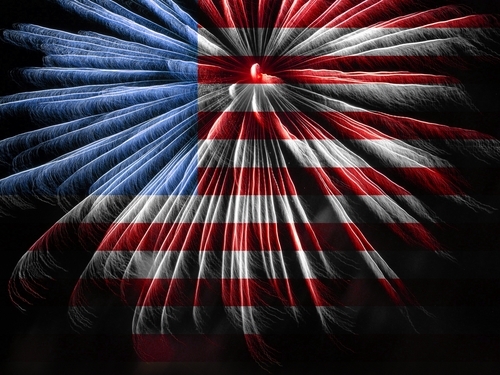 Have a great 4th! Thanks for the invite! Happy 4th of July! Thanks for visiting my blog and letting me know about this fun link party! Thanks for the feature! I linked up some red velvet cupcakes! Hi there! I've brought over some 4th of July decorated cookies! Thanks for the invite! Thanks for inviting us. We brought our Pat-oreo-tic Pops! Thanks for hosting, I linked up my Two Tone Cheesecake! Thanks for the invite to the party! I hope you love the Firecracker Cake as much as we did! You are having a great celebration with all this wonderful food. Thank you so much for inviting me and thank you for hosting. Have a great 4th and come to see me again! Hi! I'm Canadian and we're not as flashing in our patriatizem as you guys are....so I just linked up my rockie road fudge bars...which are like mountains...which we have a lot of in canada? I'm pulling at strings here!! So honored my Strawberry Pie was featured. Thanks a bunch! Now to see what I have for this week! Hi! Thanks for the invite! I linked up my Fireworks cookies and 4th of July Cupcakes! I'm so happy and honored that my Croquembouche is the number one, thank you so much!! All your creations are so amazing, I love the creativity I see here. 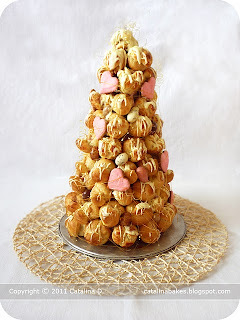 We don't celebrate this holiday in my country, so no recipe this time (and I haven't been in town, so no baking :/), but I wish we had something like that, too! Thanks for the invite! Linking my 4th of July cookies! So fun to see everyone's creations! thanks for the link up! The mini cheesecakes are up :) All the other recipes look amazing. Happy birthday USA!